The feisty local tabloid has been something of a Wahlflower in the past week’s Marky Mark rumpus, but today’s edition jumps into the pool with this column from Jessica Heslam. Mark Wahlberg wants the commonwealth of Massachusetts to wipe his violent, racially fueled criminal record clean — but the state won’t let you see what’s in his court files. 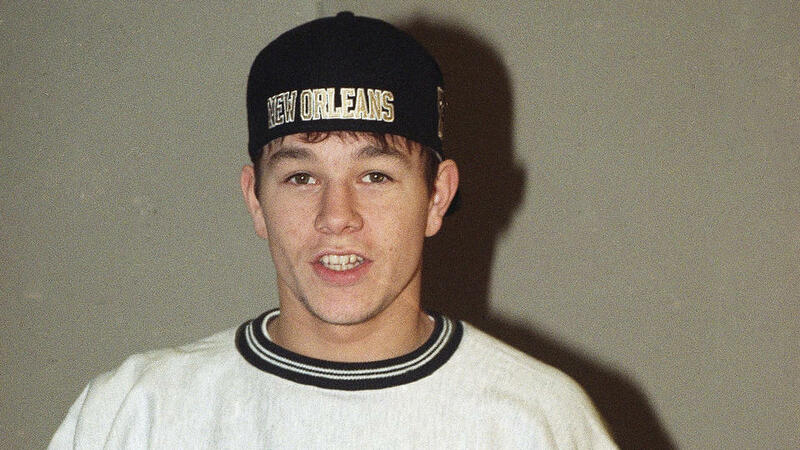 The Dorchester thug turned Hollywood star’s criminal and civil files in Boston courthouses have been sealed shut as the former rapper known as Marky Mark seeks a pardon. It’s not surprising. His crimes are disturbing. To detail just how disturbing those crimes were, Heslam draws on court papers posted on The Smoking Gun website in 1997. But we’re not like to see any more, Heslam reports. 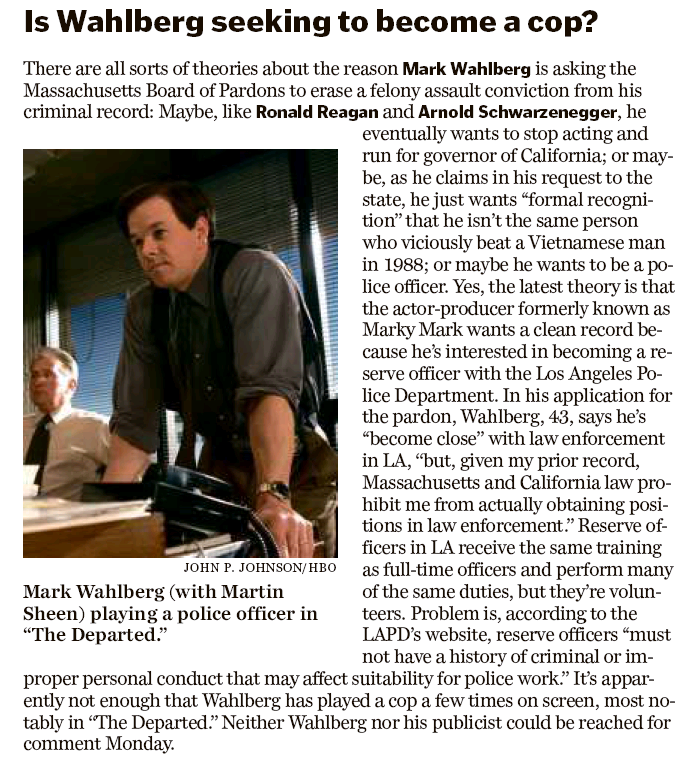 The Probation Department couldn’t say when or why Wahlberg’s cases were sealed, citing privacy laws. The Parole Board said his criminal records are protected by the state’s Criminal Offender Record Information law. Crosstown at the Boston Globe, those zany Namesniks add yet another wrinkle to the Ballad of Marked Mark. Huh. Life imitates art, eh? Or at least melodrama. This entry was posted on Tuesday, December 9th, 2014 at 1:29 pm and is filed under Uncategorized. You can follow any responses to this entry through the RSS 2.0 feed. You can leave a response, or trackback from your own site.